A funny thing happens when an opulent castle or palace or mansion is around long enough. The social and economic context fades away for many people (Hidden City Daily often included!) and the building comes to be seen almost entirely in aesthetic terms. A closer and more honest examination of the buildings so many of us love shows they were built for what we have lately learned to call the “One Percent.” Whether they were European serfs or local sweatshop laborers, workers often paid a steep price for the beauty we enjoy today. 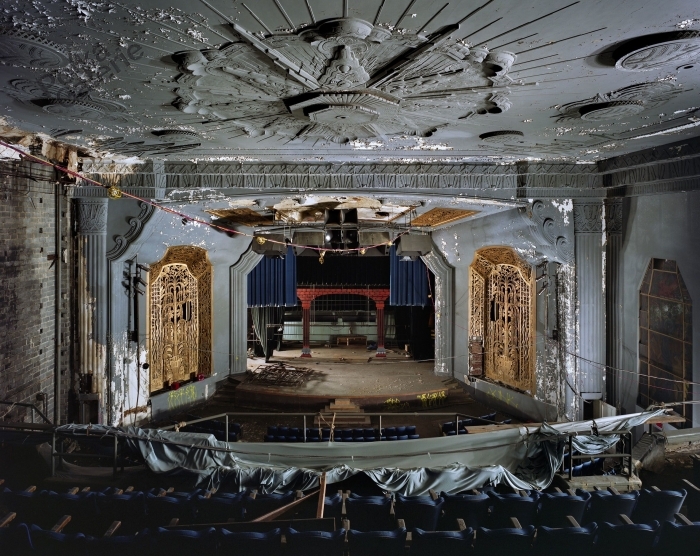 We here at Hidden City are proud to present the Uptown Theater, an Art Deco gem and perhaps Magaziner’s finest creation, as a potential site for the 2013 Hidden City Festival. (Don’t know about our festival? Find out more HERE). 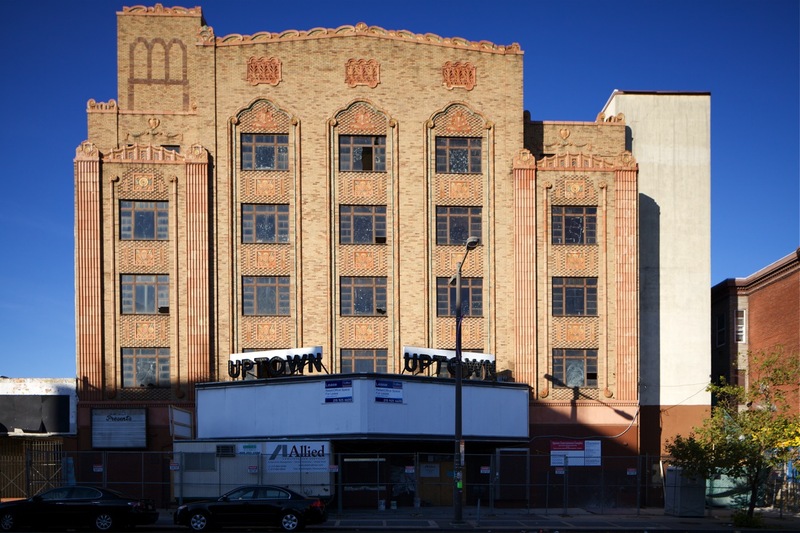 The Uptown would later attain far greater fame as Philadelphia’s answer to NYC’s Apollo Theater, boasting performance by the likes of James Brown, Marvin Gaye and Diana Ross, and the civil rights concerts hosted by the pioneering DJ Georgie Woods. The Uptown’s former offices were turned into a short-lived nightclub in the early 1980’s, and are currently being renovated by the Uptown Development Corporation to turn them back into office space. Take a peek at the club’s disco-fabulous color schemes HERE. 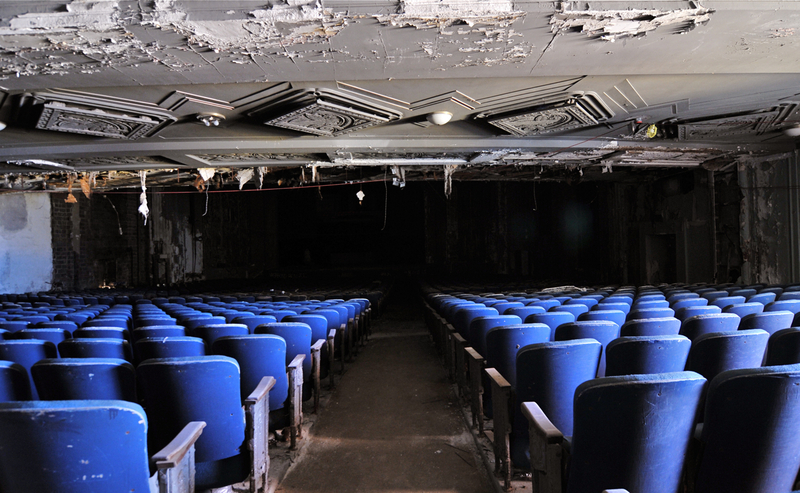 The neighborhood nonprofit is currently in the process of raising money to tackle restoring the main auditorium. 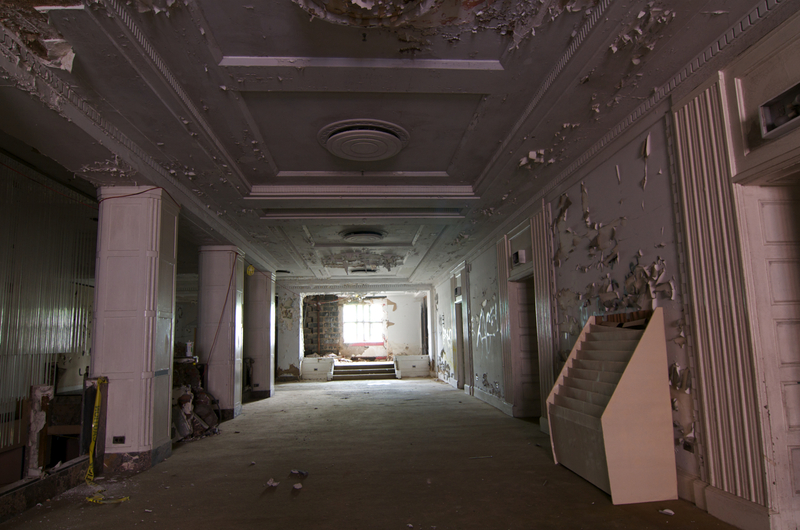 Stay tuned for more previews of potential 2013 Hidden City Festival sites in the weeks ahead. Crossing my fingers, legs and whatever else in hopes this happens!!! Louis Magaziner designed a number of theaters throughout the city. His son, Henry Magaziner, who just turned 100, designed the Sidney Hillman Medical Center. For more information about the work of both father and son architects, go to http://www.philaathenaeum.org website. Anita, thanks for the correction! I have wanted to check this place out since I lived in the Temple U dorms down the street. It was actually still in use back then and closed shortly after. Hopefully they will really restore it this time.